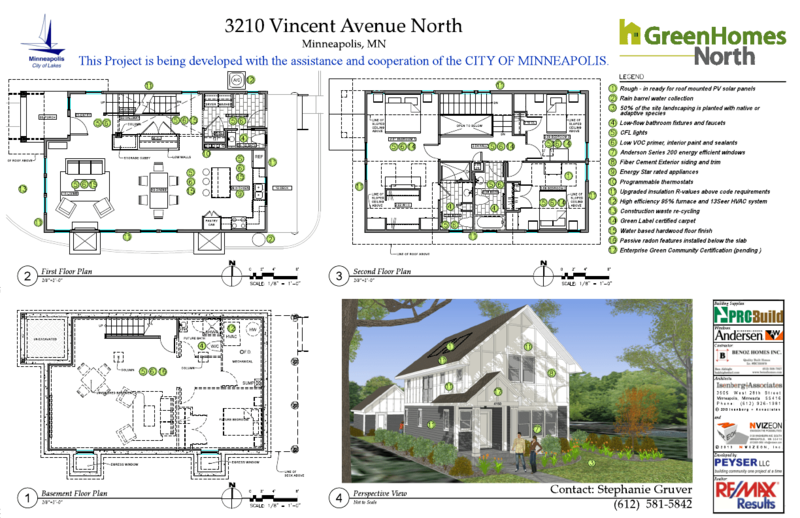 Now in it’s third phase, Green Homes North is an initiative of the city to build 100 energy-efficient homes on city-owned vacant lots in north Minneapolis. One of the recently proposed sites is 3210 Vincent Ave N, just north of Lowry Avenue in the Cleveland Neighborhood. Peyser LLC, a for-profit developer is interested in building on that site.